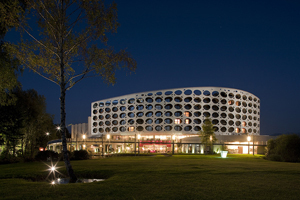 QoMEX 2013 will be held at Seeparkhotel Congress & Spa. The Seeparkhotel is located in the heart of the beautiful nature reserve next to the delightful Lendkanal, 500 metres from the eastern shore of Lake Wörthersee. The price depends on the room and includes breakfast. For attendees, who do not intend to take a room at the conference hotel, we have made accommodation arrangements with hotels and guesthouses nearby – further information is available on the accommodation site! After your arrival at Klagenfurt Airport or railway station, you may look for transportation to reach the conference hotel Lindner or Hotel Plattenwirt. There are many taxis you may use to reach the hotel(s). Price from airport or railway station to the hotel(s) is approx. 15 – 20 €. It requires about 15 minutes drive to the hotel from airport and approx. 10 minutes drive from railway station. 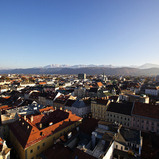 Klagenfurt – The Host City for the QoMEX 2013! Klagenfurt is situated at the beautiful Lake Wörthersee – one of the largest and warmest alpine lakes in Europe – and has nearly 95.000 inhabitants. Being a small city, with a Renaissance-style city center reflecting 800 years of history and with Italian influence, Klagenfurt is a pleasant place to live and work. Klagenfurt is not only a lively city, but also a very historical town: predominantly Italian master builders have determined the appearance of the historic old town. Discover magnificent Renaissance buildings, facades renovated true to the original style and shady arcaded inner courtyards on a stroll through the old town; see the beauty of the sacral buildings on a church walk; or visit one of the many museums, castles and galleries.